Uh oh! Evil monsters have captured a group of kittens and are going to eat them for supper! 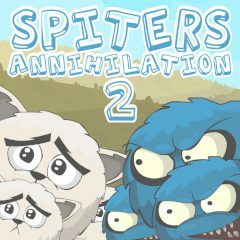 You have only one day to defeat the monsters and to release the poor fluffy captives. Remember that no monsters must survive. Good luck!